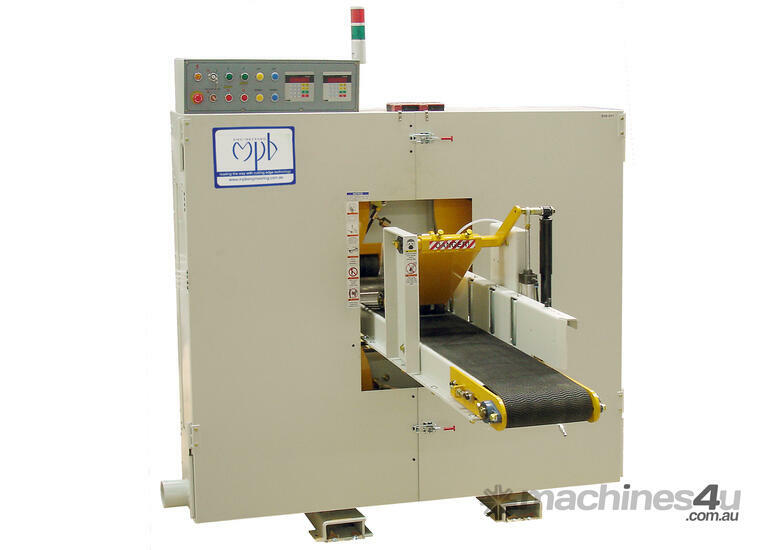 The HP66 Band resaw is designed and engineered for high accuracy in cutting, rugged construction throughout and minimum maintenance. 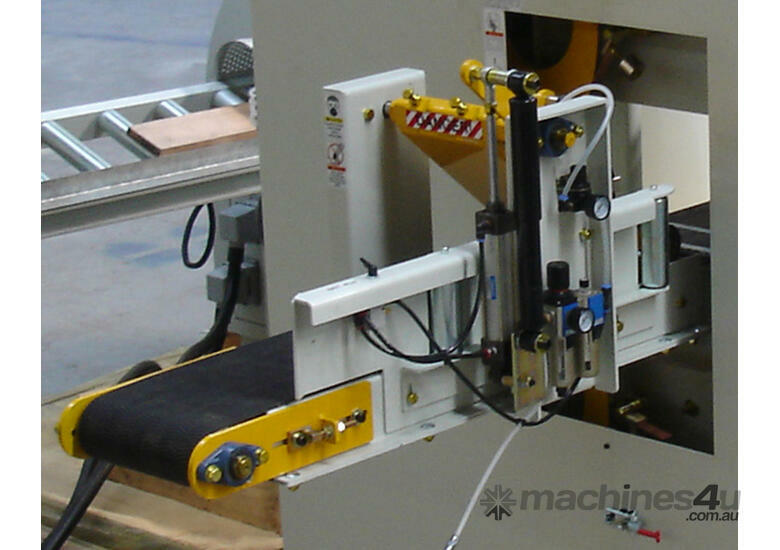 Digital controllers allow accurate saw wheel positioning. 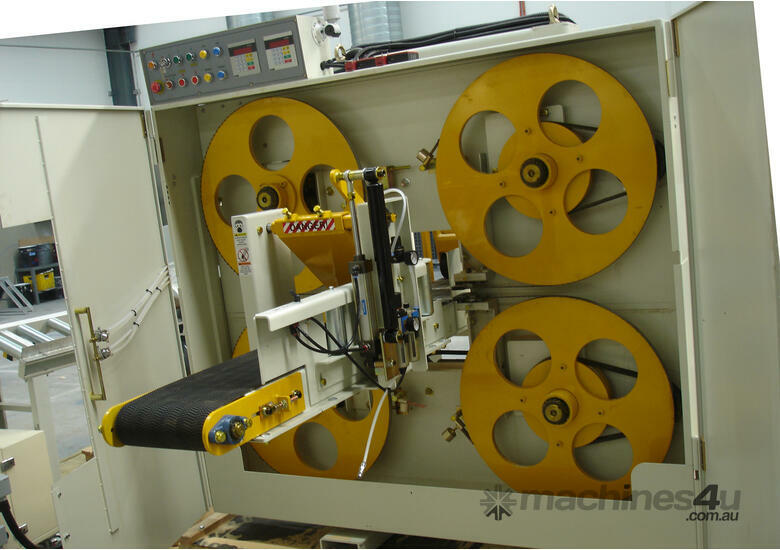 Automatic blade tension is controlled by hydraulic cylinders. 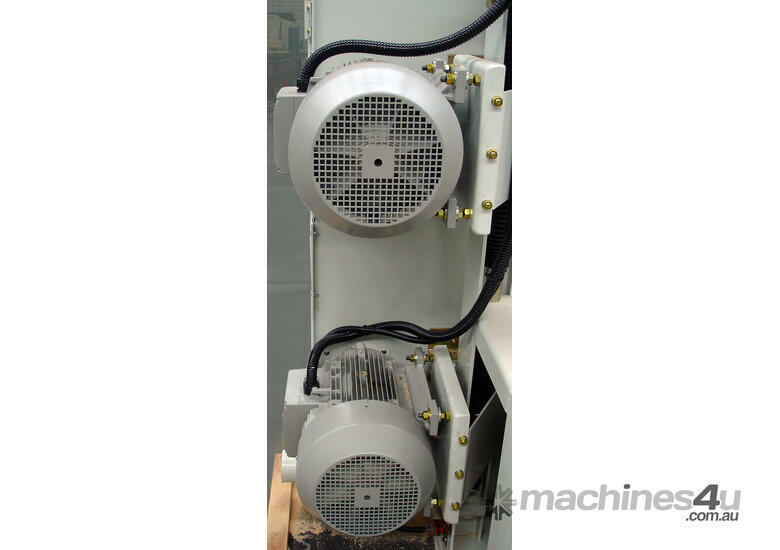 Large horsepower Seimens or equivalent saw wheel motors drive the blades allowing for heavy duty cutting. 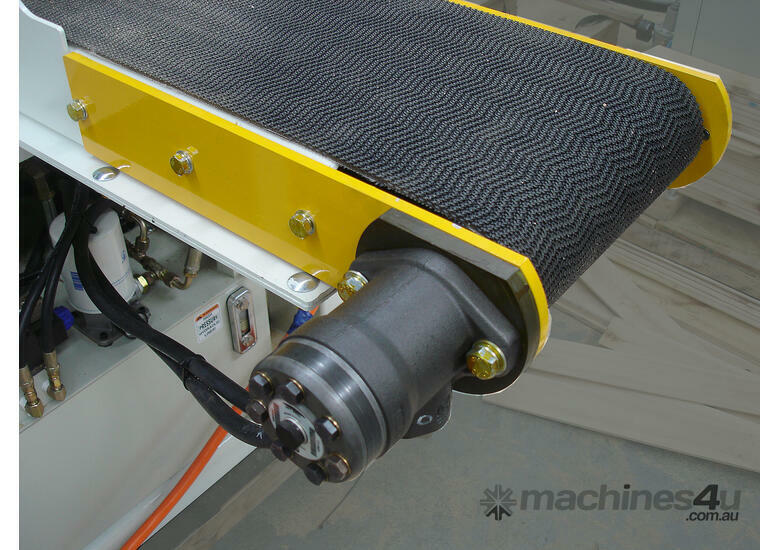 The conveyor belt is driven by a high performance hydraulic motor. Adjustable feed speed allows flexibility to saw hard and soft wood. Saw wheel diameter ............... 28" x 1"